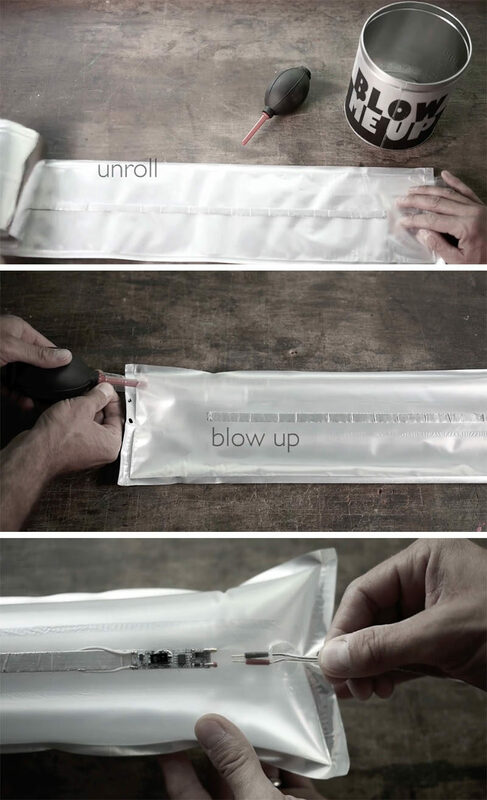 Designer Theo Möller together with the team at Ingo Maurer, have designed ‘Blow Me Up’, a light that needs to be inflated to be installed. 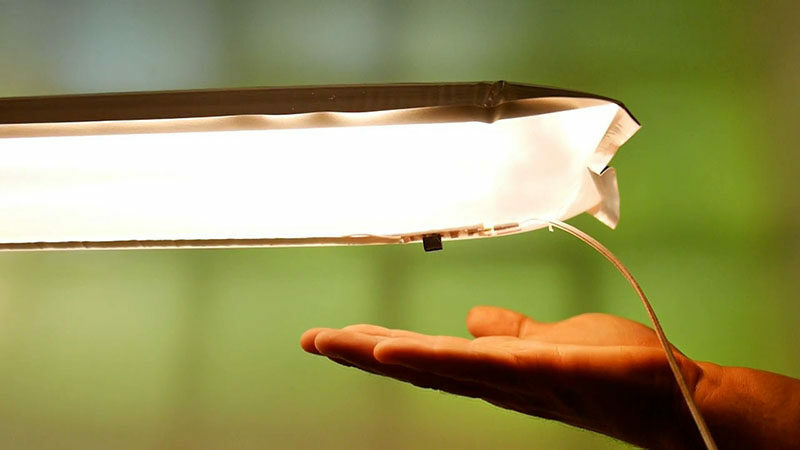 The light comes in a can and you simply unroll it, blow it up, and connect the wires. 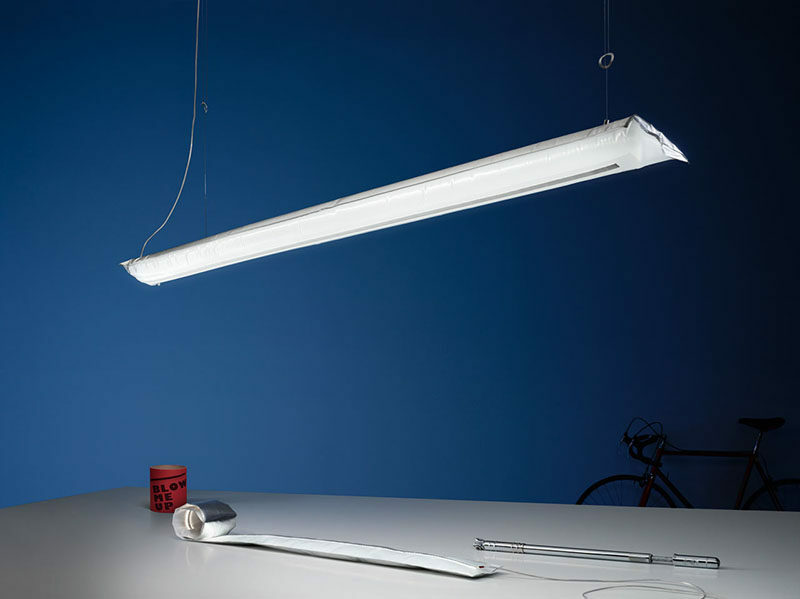 There’s a sensor switch that’s integrated on one side of the LED strip, which radiates the reflective side of the tube, which scatters indirect lighting around the room. The light can easily be installed either by hanging it with hooks or cords, or it can simply be leaned up against a wall.